Millennium 7 Publishing Co.: What Other Peoples Advertising Can Teach YOU? 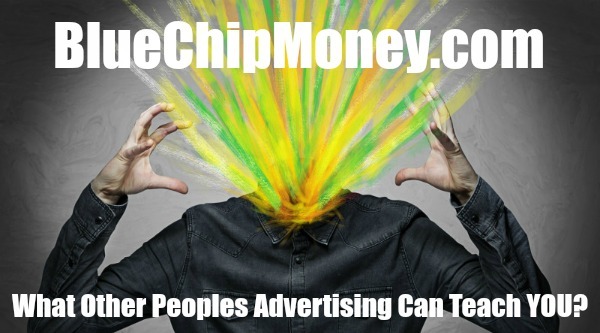 What Other Peoples Advertising Can Teach YOU? What a creative can teach you about advertising your small business..
There’s an old adage that all publicity is good publicity and it rings true with any new business. Related Article: Applying YOUR 2018 Marketing Data Science? An entrepreneur can pour heart and soul into their new product or service, but without market awareness of it, the business dies before its first breath. One of the most essential ways to build such awareness is through advertising. Both large corporations and the micro-entrepreneurs I have written about in Forbes know the importance of promoting their businesses and scaling their services. Most people are familiar with the big-name advertising campaigns: from soft drink brand names on scoreboards to insurance companies sponsoring prime time TV shows. What these campaigns aim to do is form a connection with consumers by making their products and services appear relatable to the activities and experiences in the consumer’s life. A successful campaign makes a brand memorable, so that the next time someone makes a purchasing decision, they remember that particular brand. Related Article: YOUR Brand In The Age Of Social Media? But people tend to be much less familiar with how small businesses build brand recognition. Take a look at newspaper ads, social media posts, and small-time sponsorships, and you’ll find many less-known brands trying to make a name for themselves. So, how can small business owners, start-ups and budding entrepreneurs benefit from an advertising program? And how can they access what to many may seem a luxury? Vahbiz Engineer is a senior copywriter at a top New York marketing and communications agency. Originally from India, Vahbiz knows the value of translating across cultures, getting out of your comfort zone, and pushing boundaries. After ten plus years in the industry, she has seen her fair share of hits no matter the budget size. Vahbiz agreed to share her top five tips for entrepreneurs looking to incorporate advertising strategies into their work. Related Article: Lessons For YOUR Brand On Social Media? Creativity has nothing to do with size of your budget or team. As Vahbiz has seen with many of her nonprofit clients, being creative with where you spend what few resources you have is the key to success. Take the time to think about what you have and how to use it best to grab headlines. GoPro, the now famous camera and content company was finally able to find its footing in the market when their videos went viral—an almost free advertising campaign with the power to captivate a generation of consumers. The concept was simple: adventurers and athletes alike used GoPro cameras to film their sports from a perspective most viewers never dreamed of getting. They uploaded the movies on sites like YouTube, and suddenly GoPro videos went viral and sales shot through the roof. By giving away cameras and selectively sponsoring a few sporting events, GoPro was able to feed this cycle until it turned a profit. Related Article: 2018's Best Social Media Marketing Hacks? A message is only as believable as the person who delivers it, so don’t waste time promoting your business if you don’t have the credibility to back it up. Join Facebook groups or Reddit threads on your area of expertise. Once you are there, don’t promote your product. Instead, listen to the issues and problems coming out of the market, help design solutions, and participate in the community. Related Article: YOUR Local Business Social Media Marketing? She recalls working on a particularly challenging project with a global liquor company. Her client wanted a simple campaign that could be heard and felt around the world. After months of ideating, they finally landed on a message that could be scaled widely and later won some of the most prestigious recognition in advertising for it. How? By avoiding excess and complexity, and sticking instead to those emotions that cross cultures. Related Article: Social Selling To Build YOUR Client Relations? Presumably, you started your business because you experienced a need that you knew others were experiencing as well. This is one of the most important ways you can relate to your target market, so channel this unique position when communicating with your future clients. When James Dyson launched his famous vacuum cleaner in 1987, people balked at its $2,000 price-tag, but as Dyson took the international stage over the next ten years to explain why his product was superior—and that he had created it in response to his own frustrations with vacuum bags—the product caught on and today accounts for more than £2.5 billion in revenue. By lending his own voice and message to his brand, Dyson was able to appeal to his market and showcase his own expertise. Related Article: YOUR Social Media Platform Persona? Vahbiz advises entrepreneurs to “take a look at what’s happening around them, in culture, in society, in the industry and to find a place in those conversations. Then, when the time is right to strike with their powerful message which becomes relevant.” For example, a smart entrepreneur targeting women may respond to the #MeToo movement in their message. A few years ago, before the Serial podcast became a huge hit on NPR, an up-and-coming email-marketing brand signed on to sponsor their season. That brand, MailChimp, took a chance on something they thought appealed to the same kind of people that use their product, and won by a landslide. As the podcast became a booming success—almost a cultural movement in and of itself—MailChimp’s success also rose. Guest Authored By Anuja Khemka. Anuja writes about entrepreneurs converting obstacles into opportunities. She is a philanthropy expert, working with nonprofits, corporations, high net-worth individuals to maximize their impact. she has spent over a decade in the corporate sector, primarily at Goldman Sachs and the JPMorgan Chase Foundation. Her philanthropic work has been featured in New York Times, Stanford Social Innovation Review and Huffington Post. Follow Anuja on Twitter. Related Article: Putting The "Media" In YOUR Social Media? "The power of advertising for your business cannot be underestimated. But remember, you don’t need to break the bank to get there. Overcoming YOUR Social Media Challenges? Instagram Tips For YOUR Small Business?